Ancient Olympia, the birthplace of the Olympic Games, was built on the banks of Kladeos river in the Alphios valley, in the tranquillity of an environment dominated by green forests. 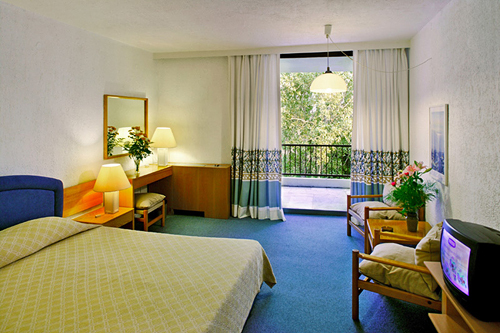 The Amalia Olympia is ideally situated in a similar setting, surrounded by beautiful gardens and trees. It's prime location is not far from the archaeological sites of the Olympic Stadium, the Sanctuary of Zeus, the Temple of Hera and the archaeological museum. The Hotel offers 160 spacious, fully air-conditioned rooms, all with private facilities, direct dial telephone, radio and satellite TV. 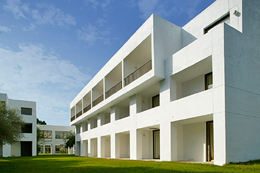 The hotel also offers a coffee-shop and bar which provide a variety of culinary treats and beverages. Relax in the hotel's spacious lounge or browse its shops. Sunbathe by the outdoor swimming pool and take in the warm Greek breeze. 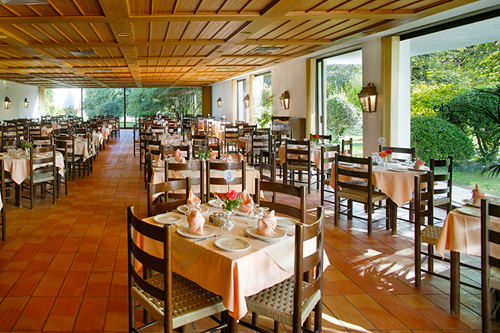 Enjoy authentic Greek cuisine in the Taverna restaurant or take a romantic nightly stroll through the hotel's Mediterranean garden grounds.